Welcome to Week 4, Year 7 of Paint Party Friday! It's very funny how things work out sometimes... Earlier this week, Kate Robertson emailed us to let us know that she would be sharing an interview she did with fellow PPFer, Mascha. She sent us a link in case we wanted to share it with all of you. Well, we were planning on sharing the link at the end of the post, but apparently the random.org number generator had other things in mind... This week, the random.org number generator chose #19... Guess who #19 is... Kate Robertson! Can you believe it? Who are we to argue with the Universe?!? we're taking that as a sign that we should start by sharing the link to Kate's interview with collage artist, Mascha. You can find it here. Last week, Kate shared a series of delightfully diverse paintings created for a free program she is taking part in. 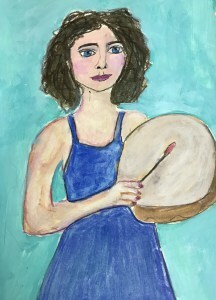 To learn more about the program, and to see more of her wonderful paintings, please visit her blog! Welcome to Week 3 of Year 7 at Paint Party Friday!! This week our random number generator chose #41 - Denthe. 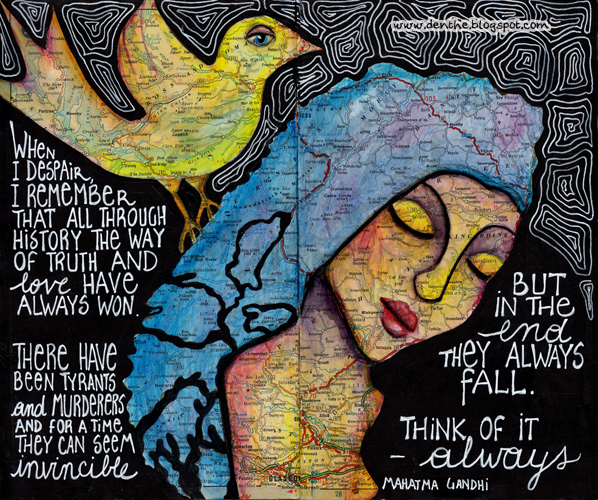 Denthe finished this lovely page in her "roadmapbook". (What a great idea for an art journal!) As well she posted her WIP (work-in-progress) on a painting and a series of funny quotes and images. Check it out! Welcome to Week 2 of Year 7 here at Paint Party Friday, and Happy St Patrick's Day! Thank you for all of the thoughtful birthday wishes last week! We couldn't be prouder of the PPF community... Each week we are filled with joy as we view your beautiful art & read your fabulous posts! YOU make Paint Party Friday a very fun place! Image Courtesy of Christine - Thank You! Image Courtesy of Sue - Thank You! Image Courtesy of Sirkkis - Thank You! Image Courtesy of Jutta - Thank You! Image Courtesy of EAGHL/Granny Annie - Thank You! 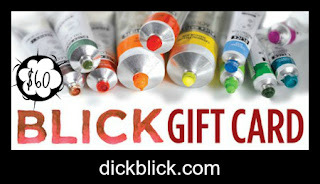 Please send us the email address that you would like your E-gift card emailed to. Thank you to ALL who partied with us last week! As the season changes this week, hope it brings you renewed inspiration! Welcome to Paint Party Friday's 6th Birthday Party! It's time to celebrate another year of paint-filled fun, and we couldn't be more thrilled with the art, connections, and true friendships that have been made through this community. We are so happy to have you here as we begin our 7th year! 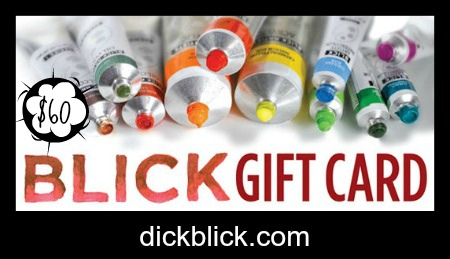 To celebrate turning 6, we are giving away a $60.00 Blick E-Gift Card! (10 dollars for each year!) We will be using the random.org number generator to choose the winner from this week's Paint Party Friday participants. We will announce the winner next week. Good luck, friends! Thank you for painting and partying with us! 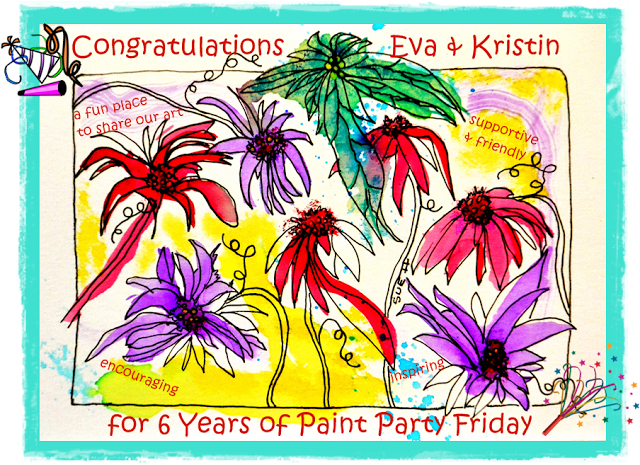 Welcome to Week 52 of Year 6 here at Paint Party Friday! Yes, week 52! 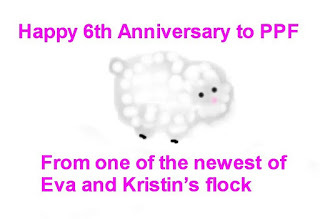 Another year is ending and next week PPF will be turning six, and starting our seventh year!! Thank you all so much for painting and partying with us these six years! 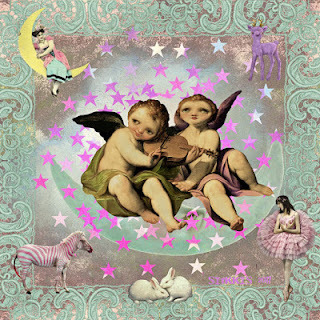 Such awesome art has been created, shared and enjoyed! Thank you. Hope you will all join us for our birthday, anniversary, blogoversary party to celebrate! For our party next week, we thought it might be fun to suggest a party based theme - totally optional... 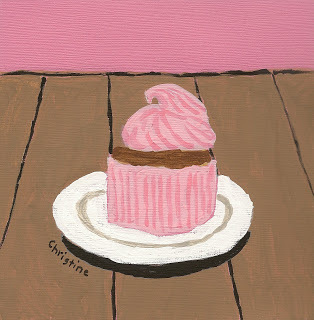 If you're interested, we'd love to see your party themed paintings at next week's link-up! Random.org this week chose #27 - Serena. Serena has been inspired to create fun portraits from images posted to the image reference site Sktchy. 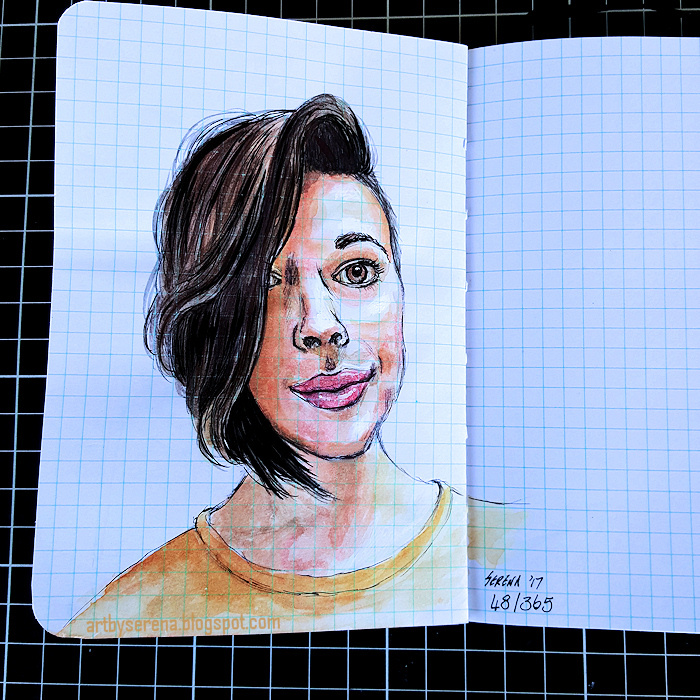 Please visit her to learn more about her daily sketching habits and her inspiration!